The Outer Banks is a 200-mile-long string of narrow peninsulas and barrier islands off the coast of North Carolina and a small portion of Virginia, beginning in the southeastern corner of Virginia Beach on the east coast of the United States. 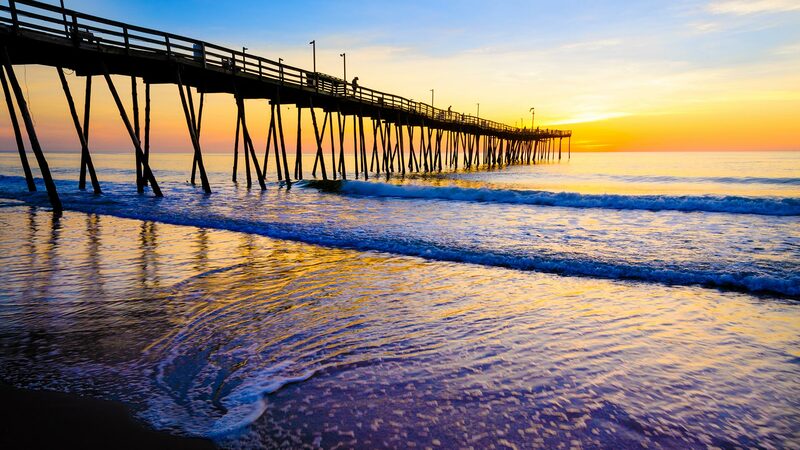 The Outer Banks are a major tourist destination and are known around the world for their subtropical climate and wide expanse of open beachfront. The Cape Hatteras National Seashore has four campgrounds where visitors may camp. The Outer Banks also offers a multitude of fishing options for tourists as well as locals. Surround yourself with nature! Seventy-two miles of wide, unspoiled and uncluttered ocean beaches.